I initially started my blog as a bit of an outlet for my random thoughts. Therapeutic typing. But over the months, I’ve been fortunate to gain some wonderful followers, like Yes Peas Mumma, who not only read and seem to enjoy my random thoughts, but go to the effort to nominate me for a blogging award. Kind of of like a blogosphere high-five. It makes me happy. 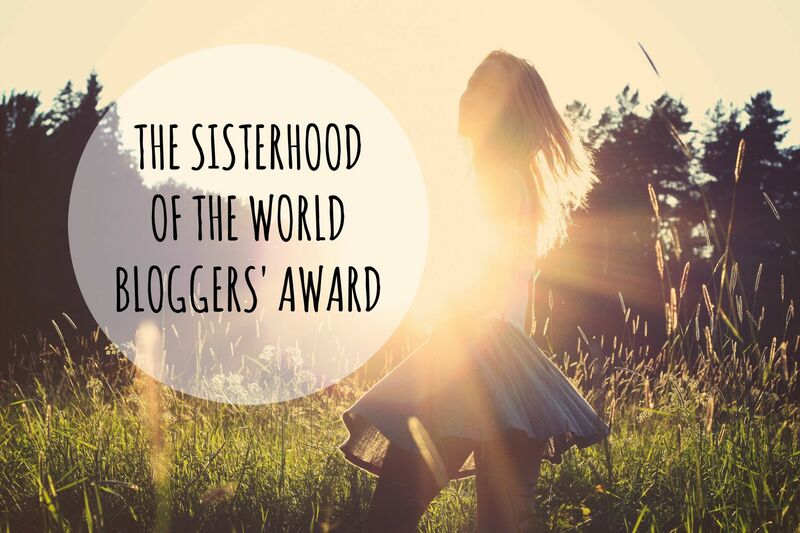 So a huge thanks to Kelly from Yes Peas Mumma for the blogosphere high-five in nominating me for the Sisterhood of the World Bloggers Award! Which item(s) can you never leave the house without? What do you prefer, coffee or wine? Whatever will be eaten, with minimal whinging or complaining. I hate dinner time. I’d like to be able to say no, but I think everyone, to some extent, cares about what others think. If you had to take part in a reality TV show, which would it be and why? What is your favourite post you wrote? Why? That’s hard to choose! One of the ones I really enjoyed writing was Toddlers are the new personal trainers, inspired by our toddler. According to my FitBit, I can clock up to 9km most days, easily. Considering the walk to and from school is only about 2.5km all up, the rest is from chasing the toddler tornado…. Do you have a favourite blogger you follow? Who is it? There are a group of bloggers that I will make sure I read all of their posts, as I know they’re going to make me laugh, feel good, or be able to relate to in some way. Apart from Yes Peas Mumma, here’s my list of blogs that I love. If only we could somehow all meet up over a glass of wine! Great answer to the “Masterchef”. I bet I could make a mean mashed potato since that’s what we use as “mix” for everything our 4 year old eats. High five for the award! Thanks! Here’s cheers to all the mediocre Masterchefs!